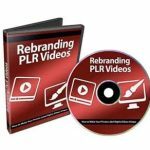 Automated membership machine is a10 part video tutorial series explaining how to create an automated content fixed-term recurring income membership system. 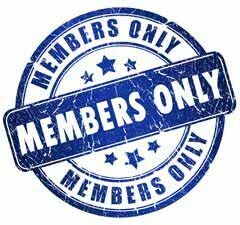 A membership site is any site that contains material that can be accessed only by it’s members. In this specific video you will be given an overview of how the system works so you know exactly what to expect in detail. By knowing this, implementation will be a lot faster as the pieces of the puzzle come together. You’ll also learn what tools you need to get started. We will primarily be sticking with free tools, however you will need to pay for web hosting, a domain name, and an autoresponder service. Other than that we will not be using any expensive or complex tools. Planning and Brainstorming your sales funnel, or in other words, what your customers will see from the moment they land on your sales page to the actual membership it’self, is important. What is your strategy for branding? And how will you deliver your content? When will you deliver your content? Knowing these vital elements are very important to the success of your fixed-term membership site. This is what you’ll learn in this specific video. Besides having your automated membership machine running, you will want to have an easy way for your customers to get answers and reach you if they have problems. In this section, you’ll learn how to create support videos that will allow you to eliminate the majority of questions, and we’ll also point you to the easiest help desk scripts to make your life easier. So, with that said, grab this automated membership machine video series now and learn how setup a hands-free automated fixed-term membership site… so you can start your profit-pulling machine the right way! Gain access to these automated membership machine step by step videos that show you the blue print you need to setup your fixed-term membership site. Simply watch over my shoulder and you can follow click by click.